The founders Anders Borg and Patrik Sivermalm. the whole picture for the telecom stakeholders. Accellrates vision is to bring innovative solutions to simplify everyday life to the telecom market. The increased need for mobile broadband, and the explosion of smarthpones usage, require new locations and developed infrastructure in order to meet the market requirements of the industry. We found that we are needed as an independent player who is able to see the whole picture for the telecom stakeholders. So here we are. Accellrate has a strong network of experienced telecom professionals and partners that can be engaged at any time. We are fully prepared to support You in the best possible manner. We also have a good and strong co-operation with most 3PP’s and the largest OEM’s in order to have an independent and cost efficient approach. Patrik is the man to turn to when you have a brilliant, or possibly, crazy idea to discuss, or when you’re in need of one. You can be sure to be inspired to start something new when he’s done with you. Patrik is a people person and a natural leader who can inspire a whole audience with his positive energy. Patrik is the creative soul at Accellrate. Patrik Sivermalm holds a degree in telecommunications engineering and a diploma in business communications with studies at Stockholm school of economics. He has long experience from the telecom industry and started his career in the early 1990s. He has withheld different leading positions in an international business environment as well as at corporate level. 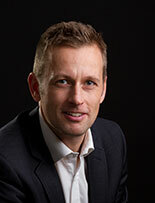 He has worked with all standards, lately focusing on building new businesses for radio networks at Ericsson AB. In his spare time Patrik is active in multisport, enduro and skiing. He is married, has two daughters and lives just outside Stockholm. Anders provides Accellrate with unique Technical skills. Being downright and witty Anders will convince just anyone about the next big thing in mobile infrastructure and at the same time deliver an economical assessment of the possibilities of developing your own neighbourhood. With Anders positive and well-read mind around you are assured never to have a dull moment. 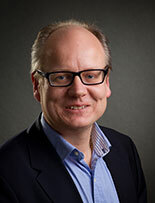 Anders Borg holds a Master of Science from Royal Institute of Technology Stockholm. He has been part of the mobile system evolution since the first commercial GSM voice call was made in 1991. During his career he has held Technical and Management positions in Sweden as well as International. He has work experience from all major mobile system standards as GSM, WCDMA and LTE. Anders is married, has two sons and is a dedicated supporter to his sons team-sport activities.